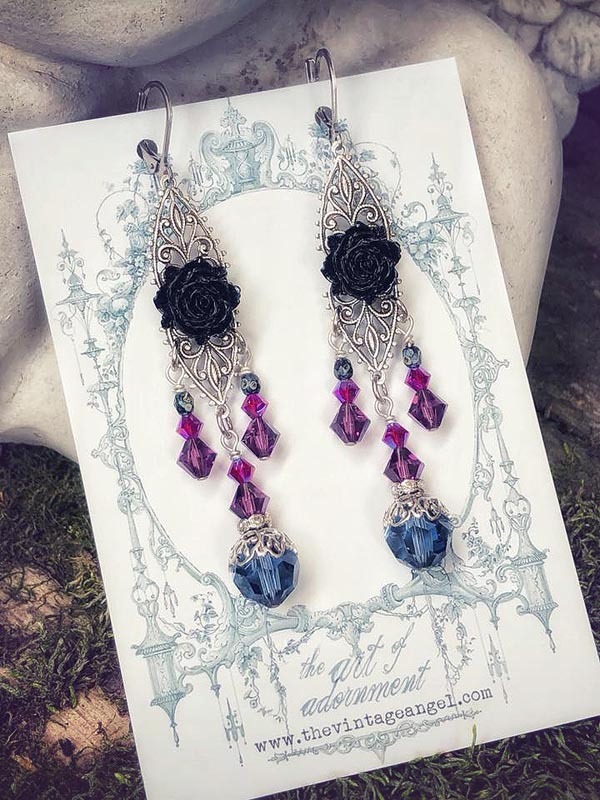 Victorian inspired and dramatic, these midnight rose earrings feature filigree stampings in antiqued silver topped with dimensional black roses. 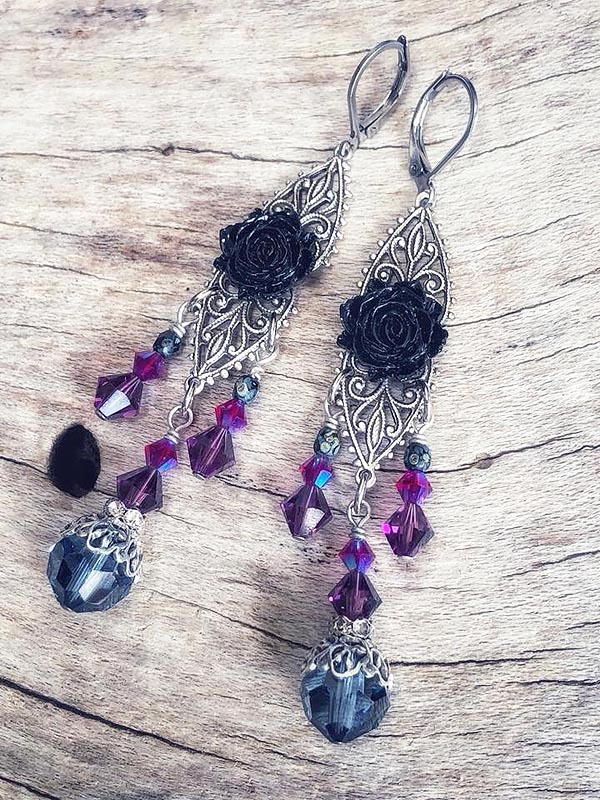 These focals suspend an array of Swarovski crystals in midnight blue, violet and Amethyst purple. Surgical steel leverback hooks for pierced ears.